You can send a rich HTML page built with our editor along with your push notification. Such pages can contain rich-formatted text, links and images. You can send colorful flyers, ads and embed video presentations directly to your app. 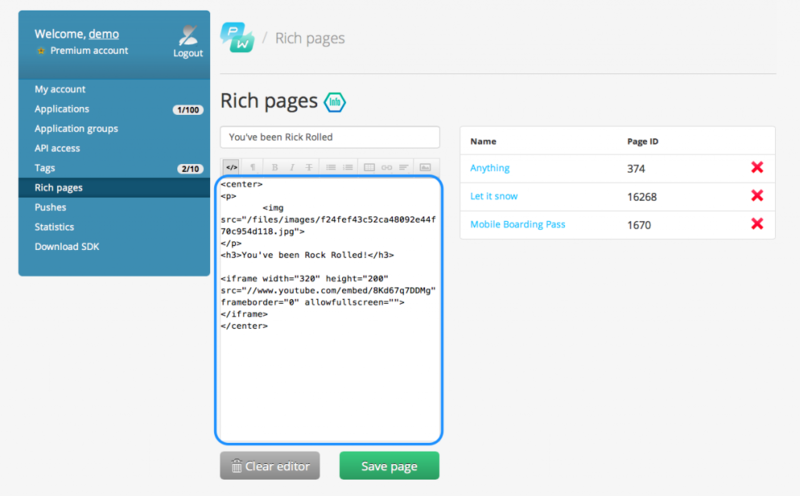 Rich HTML pages are displayed in the web view, so your users stay within your app! In your Pushwoosh Contorl Panel, click Rich Pages in the left menu. 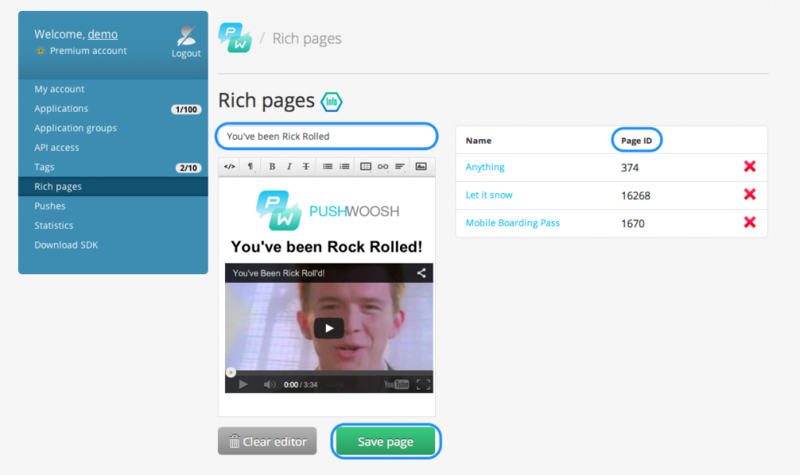 The rich content editor is located on the left side of the page. All the Rich Pages you create are listed on the right half of the page with their IDs, that you can use while sending the push via Remote API. You can compose your page directly in the editor, and format it using rich-text tools, add images, and insert embed videos. Click on the </> icon to switch to html editor. Once you’ve created and saved your page, you should simply select it in the Send Push Additional Data tab, woosh! and that’s it!